Video game fans were excited last month when Sony president Kenichiro Yoshida said his company needed next-gen hardware, very clearly meaning that a new PlayStation console is in the works at Sony. This will almost certainly be called the PlayStation 5 (or PS5), and while it launching this year is obviously ruled out, it might very well be hitting shelves next year. If that is the case, you would expect video game studios to have access to development kits by now, so that they can begin the long and arduous process of making games for Sony’s next-generation console now. And this is likely the case according to the resume of a 3D character modeller which appeared on LinkedIn, as pointed out by ResetEra (via Trusted Reviews). Said resume says the man in question (who’s named Tomohiro Tokoro) is working on a “new AAA title for PS5”. 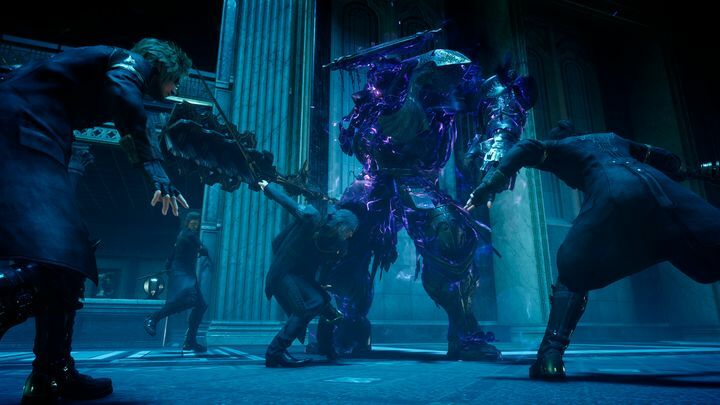 He’s doing so at Luminous Productions, a studio which is under the wing of Japanese publisher Square Enix, and which recently was working on several expansions for Final Fantasy XV until these were cancelled as a result of game director Hajime Tabata leaving the studio. What this game could be is anyone’s guess, but I wouldn’t rule out another Final Fantasy game (part 16, that is). But then, it could be something else entirely, maybe even a completely new IP. Either way, if Sony does intend to release the PS5 in 2019 it’s clear we’ll get more details about its new console and Square Enix’s new game before long, so stay tuned to this website for further information about the PlayStation 5 console and any upcoming next-gen games in the near future. Read more: Is PlayStation 5 coming in 2019?